If you’ve missed Session 2, don’t panic! Just download and print the notes/slides from Session 1 and 2 and come for Session 3! Be sure to look at what’s on the notes and slides. If you have any questions, you can always send me an e-mail. This is your last chance to still be newly enrolled into the workshop. 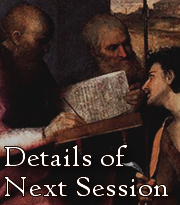 Once we’re done with Session 3, you’d probably be too lost if you came for the first time in the subsequent sessions. What to expect in Session 3? I’ll explain what Mantillas are and why it’s really sanctifying and awesome for women to wear it. Also, we’ll cover two chants. If you have suggestions as to what chants we should learn, please e-mail me or drop me a comment.We’ll do some more comics from Minimus, followed by an intense round of Latin! Don’t panic! It’s gonna be very fun and exciting. Last week, we were unable to do the Night Prayer due to the lack of time. I do hope that we can get started on it. We’ll be doing it in english. 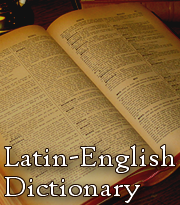 Probably we’ll try to do some portions in Latin. If you have any suggestions as to what I should do for you guys, please let me know! See you at Session 3!